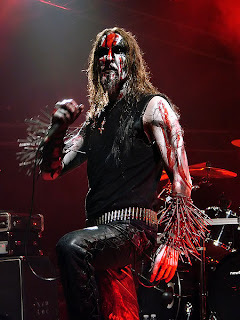 Kristian Eivind Espedal (born August 7, 1975), better known by his stage name Gaahl, is a Norwegian black metal vocalist, best known as the former frontman of Norwegian bands Gorgoroth and God Seed. He is also the founder and frontman of Trelldom and Gaahlskagg. As of 2008, he has been involved in other projects such as Wardruna. During the trial in 2004, it was claimed that Gaahl is a vegetarian He himself discussed this in an interview in December 2005. However, some sources have claimed otherwise. According to Gaahl, he and King ov Hell are friends with Martin Eric Ain and Thomas Gabriel Fischer of the influential extreme metal band Celtic Frost. In July 2008, Gaahl revealed in an online interview that he was involved in the creation of Wynjo, an upcoming fashion collection for women, together with Norwegian modeling agent Dan De Vero and designer Sonja Wu. At the same time, it was also revealed that he had been involved in a close personal relationship with De Vero since 2006. It was stated that they were no longer a couple but remained as good friends. In an interview for the November 2008 issue of Rock Hard, Gaahl confirmed his homosexual orientation. Gaahl became involved with black metal in 1993, when he co-formed the band Trelldom. During the mid and late 1990s he also become involved with the bands Gaahlskagg (with Gorgoroth live guitarist Skagg) and Sigfader (with Skagg and Kvitrafn). Gaahl joined Gorgoroth in 1998, and was first heard on their fourth album Destroyer; although he only sang on the title track. He made his live debut in May that year, when Gorgoroth played five dates in Germany on Cradle of Filth's European tour. Ten years later in the January 2009 issue of Terrorizer Magazine, Gaahl and Cradle of Filth frontman Dani Filth incorrectly alluded to have played thirty concerts together on this tour, including one in Toulouse, France when Gaahl did not first perform there until two years later. The first Gorgoroth album to feature Gaahl as main vocalist was Incipit Satan. The album was recorded during July–October 1999, and was primarily written by Infernus. This was also the first Gorgoroth album to feature elements of industrial, dark ambient, and noise music. In May 2002, Gorgoroth began recording their album Twilight of the Idols. However, Gaahl was imprisoned for assault throughout that year, and was unable to record his vocals until January 2003. In February 2004, Gorgoroth staged a concert in Kraków, Poland which featured impaled sheep heads, satanic symbols, and a mock-crucifixion performed by naked models doused in blood. A police investigation took place with allegations of religious offense (which is prosecutable under Polish law) and cruelty to animals. Though these charges were considered, the band was not charged as they were unaware that what they were doing was illegal. 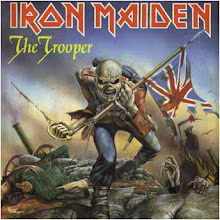 The controversy led to the band being dropped from the Nuclear Blast Tour and the footage of the concert being confiscated by the police. Subsequently, Gorgoroth terminated their contract with the label. After the drums, bass and guitar parts had been recorded between January and May 2005, Gaahl arranged and recorded the vocals for Ad Majorem Sathanas Gloriam in March 2006, and the album was mastered in April. Although the title was conceived by Infernus, the lyrics and music of this album were written entirely by Gaahl and King ov Hell. Shortly thereafter, Gaahl was again imprisoned for nine months. 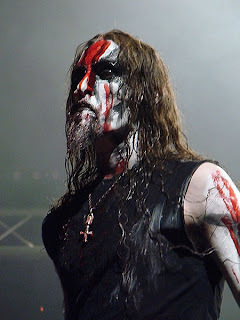 In April 2007, Gaahl was the focus of a five-part series entitled True Norwegian Black Metal. The series was produced by photographer Peter Beste and debuted on vbs.tv, the broadcast network of Vice Magazine. Gaahl offered Beste an interview and tour of his residence in Espedal. In October 2007, Gaahl and bassist King ov Hell tried to remove founding member Infernus from Gorgoroth. In 2009 the Oslo City District Court found that by doing this, Gaahl and King ov Hell instead excluded themselves from the band in October 2007, thus ending Gaahl's time in Gorgoroth. Gaahl and King assumed the name God Seed in March 2009. We have recorded everything in the studio and are just waiting for Gaahl to put on vocals on it. So we have only vocals and the final mix to go before it's all done. It's sometimes a nightmare to work with him in the studio because of the pride he puts into the smallest details. If he is not in the right mood or doesn't find the correct words we get nothing done. At times I've spent days in the studio counting seconds with nothing happening. It's the same way now, but I know in the end the result will be unique and powerful. We have to wait till Gaahl is done writing his lyrics to chose the title for the album. When the whole concept of this album is done lyrically we’ll decide which title to use. After performing with God Seed at two concerts in summer 2009 Gaahl revealed that he had quit the band. His God Seed bandmate King later clarified that Gaahl had in fact chosen to retire from metal music, with King 'freezing' God Seed's activities as a result.